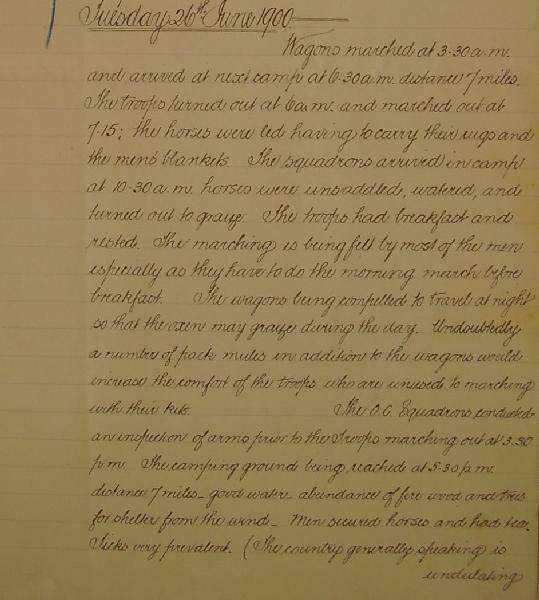 An interesting observation that the men had to march 7 miles in full pack to the next campsite before breakfast. The march time was between 3 am to 6.30 am. Afterwards, the oxen were turned out to graze for the rest of the day.